Can I really write one short story a week? I don't know, but I am going to try. There are some definite do's and do not's when it comes to writing short stories, and my biggest do not is going to be getting side tracked when it comes to any research or thoughts. Whew, that always gets me. But I will not get side tracked talking about that today. Did you know that most of the best writers started with writing short stories? The majority of them published short stories long before they ever published a novel. 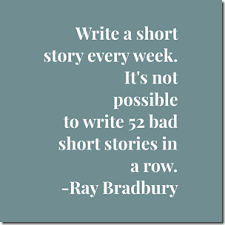 Ray Bradbury said: "Write a short story every week. It's not possible to write 52 bad short stories in a row." So I say to myself, "What the heck, I can give it a whirl!" It is great practice for writing bigger stories. Great practice in editing as well. 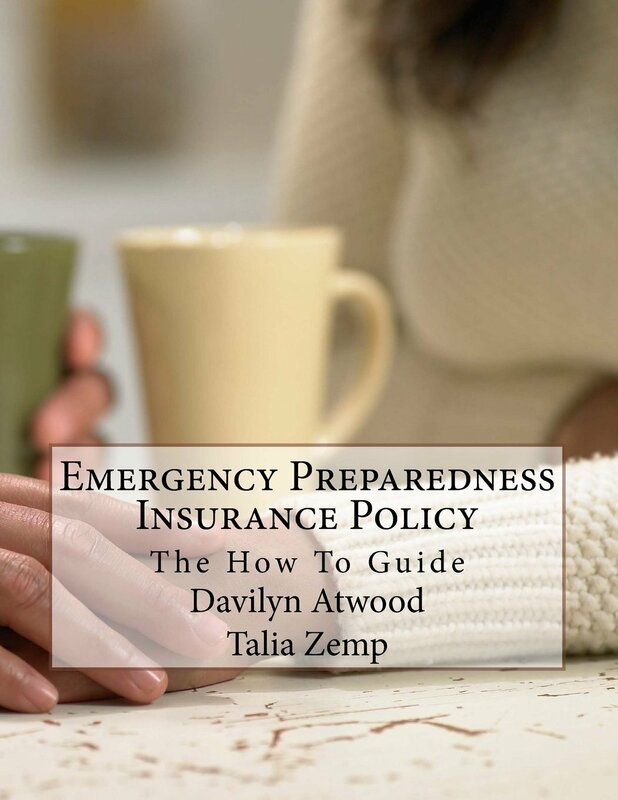 Briefly summarize in one or two sentences what your story is going to be about. If you are one that likes to outline your stories, then jot down an outline including, what is going to happen, where it is going to happen, who it is happening to, and so on. Start writing. Don't worry so much in the beginning about a catchy opening, or details like that, just start writing. Just get writing and write twice as much as you think you will finally need in your story. Don't worry about editing as you are writing, just write. You can go back after and edit, edit, edit. Cut, rewrite, edit, get rid of words that should not be used. Get rid of useless drivel, that's right we all have it. Don't give up and throw it away, it will be good in the end. You are done! Feel free to submit it to contests, magazines, or any other place short stories might be found. I haven't submitted any of mine as of yet, but with a little more practice, I might just feel like I can do that. For now you can watch for them to appear here. In writing short stories - realize that you are telling a lifetime in a very short amount of time. The character should change in some way because of what happens in the story. He or she must learn something for better or worse, or it will be a waste of the reader's time. 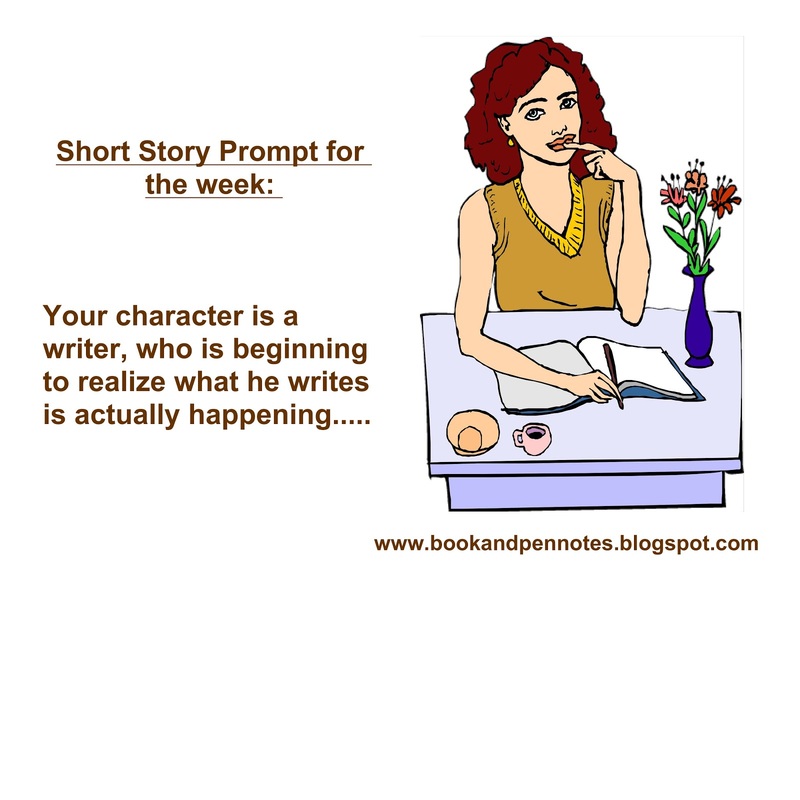 Short story writing will undoubtedly make you a better writer. It will offer you practice in all aspects of writing that you will be able to apply on a bigger scale when you attempt your novel, which is where I am at. Good luck with it. 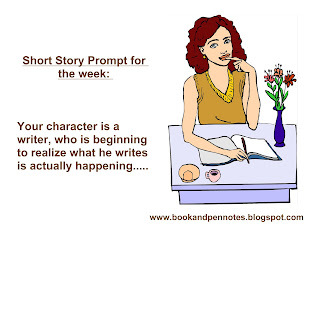 Keep tuned in for some of my short stories, and if you would like to write along with me, I will list my next weeks writing prompt, which will give us each a week to write a story. I would love to compare stories with you at the end of the week. Until then, keep writing and writing some more.